Adam Glanzman is available for freelance photography work worldwide. He is a Staff Photographer at Northeastern University in Boston where he has worked for the past three years. 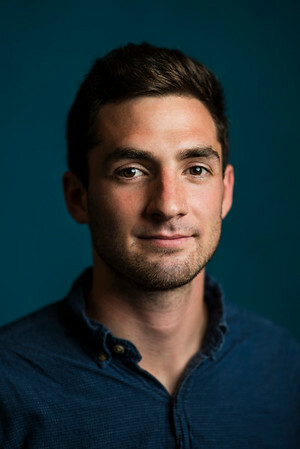 Before working at Northeastern, Adam was a Photo Coordinator at TIME Magazine, Photo Intern at the Boston Red Sox, and Explorer's Program Intern at National Geographic. Adam attended Eddie Adams XXIX and his work has been recognized by the National Press Photographers Association (NPPA), the Boston Press Photographers Association (BPPA), the University Photographers Association of America (UPAA), and College Photographer of the Year (CPOY). Editorial client list: The New York Times, Time Magazine, Bloomberg Businessweek, Players' Tribune, The Atlantic, WIRED Magazine, Barron's, The Wall Street Journal, QZ, The Washington Post, Getty Images, The Financial Times, CNN, El Pais, Liberation Journal and others. Commercial client list: Facebook, Reebok, Major League Baseball, NASCAR, Market Basket Supermarkets, Zagat, Teach for America, TBS, Massachusetts General Hospital, USA Baseball, Boston Red Sox, Houston Texans, Buffalo Bills, Villanova University, Indiana University, Gantner, Rocketbook and others.